In a large, heavy skillet, heat olive oil over medium heat. Add the onion and saute about 5 minutes. Add the garlic and salt and pepper. Cook an additional 2-3 minutes. 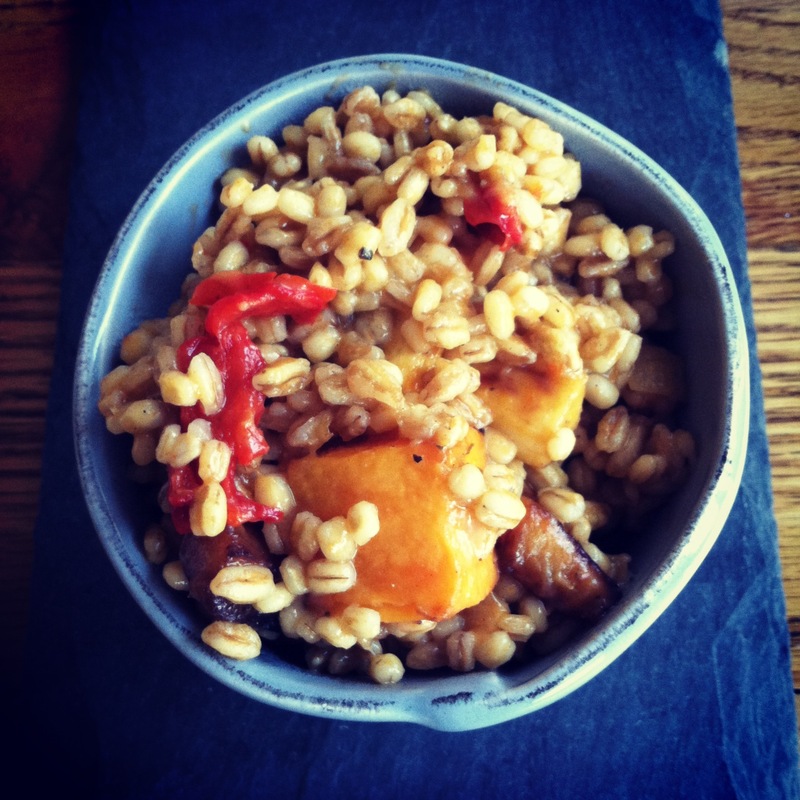 Add the dry farro and barley and stir to toast 1-2 minutes. Add the wine and stir until it has evaporated. Add the stock one cup at a time, stirring frequently until each cup has evaporated or cooked into the grains. Add more salt and pepper, if desired. Stir in roasted squash and parsnips. Stir in parmesan and stir until melted and creamy. Serve warm.